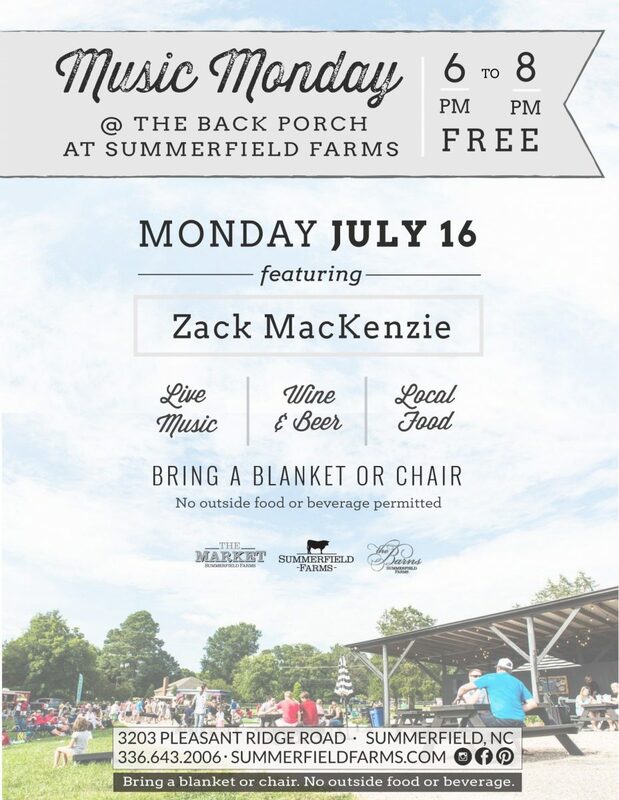 Join us at The Back Porch for acoustic covers music performed by local musician, Zack MacKenzie. We’ll have wine, beer, & snacks available for purchase. Patriot Pretzel will be here serving up hot, homemade pretzels and GT Fusion food truck we’ll be here too. Cool off with a sweet treat from Shaved ParadICE! Browse local vendors at our Farmers Market. This week we’ll have Lularoe and Southern Scents as well as certified organic produce harvested fresh from our Garden.